Mutual funds have now become the household products, as in the past 2-3 years, many investors have turned to invest in them from all over the country. They penetrate into the market by financing companies through equities and investing in debentures as well as bonds. Indians have a habit of saving since long, even if it is for a short-term. They earlier save in banks through savings accounts, now they are investing in liquid funds, who are offering more returns as compared to any banking instrument. One such fund that has never underperformed its benchmark in its journey is Reliance Liquid Fund. Keeping the high liquidity in the portfolio is one of the important element associated with the liquid funds. Therefore, Reliance Liquid fund is investing in the debt and money market instruments. These instruments have a maturity up to 91 days, and the fund’s portfolio has an average maturity of 0.13 years. Currently investing in 198 instruments, the AUM of the fund is Rs 39,579 Cr as on Jul 31, 2018, with an expense ratio of 0.23%. The fund provides the benefit of diversification, relatively low cost, liquidity, favourable taxation, and professional management, accessibility to investments, etc. You can access your invested capital anytime by withdrawing it whenever required. The major benefit of the fund is it has zero entry and exit load. 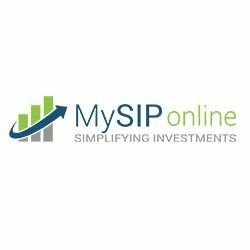 As per the financial analysts of MySIPonline, the fund is targeting the retail investors of small towns who are afraid of market volatility and requires money now and then. So, in a liquid fund, they can invest even for a day. The fund manager, Ms Anju Chhajer focuses on maximising the returns keeping adequate liquidity through investing in money market instruments. She holds the average maturity of portfolio ranging between 30 to 60 days. She majorly invests in A1+, government bonds, SOV, and term deposits. This philosophy of the fund manager has helped the fund to earn 7.39% returns since launch, i.e., since Dec 2003. A relatively low-risk fund majorly invests in the commercial papers and certificates of deposits. From these, it has provided the compounded returns of 7.27% in the past three years, 8.03% in five years, and 8.38% in seven years. All these returns have beaten its benchmark as well as the category’s average. The above analysis of Reliance Liquid Fund growth has shown that fund has given consistently outperforming returns than its benchmark. Its NAV for the date Aug 22, 2018, is Rs 4,341.4593, which has also grown rapidly in all these years from Rs 1,500. All these returns and growth in NAV show that the fund manager’s convictions and strategies are working perfectly in all market cycles.